Rach started blogging at Meatified when she realized how much her health (and cooking skills!) had improved while eating Paleo, after years of medicated-but-still-not-feeling-quite-right experiences with Hashimoto’s disease. She shares Paleo recipes with a focus on simple but tasty Autoimmune Protocol friendly ingredients. When she’s not in the kitchen, you can find her working on improving her photography after “borrowing” and failing to return Mr. Meatified’s camera a year ago – and taking over the house with her ever-expanding collection of food props. Oops. Her current favorite sport is sneaking as much nutritious food into Mr. Meatified’s diet as possible… without him noticing. You can find Rach at her on Facebook, Twitter, Pinterest or (her secret favorite) Instagram. She is the author of Nourish: The Paleo Healing Cookbook (Page Street Publishing, Mar 24 2015), a cookbook that is packed with over 120 recipes that are designed to be compliant with the elimination phase of the Autoimmune Protocol, while still being darn delicious! The foreword is written by Dr Sarah Ballantyne, New York Times Bestselling author of The Paleo Approach and The Paleo Approach Cookbook. Get all the details about Nourish here. March 23, 2016: Featured as Food Blog of the Day on Foodista! December 20, 2015: Featured on the Phoenix Helix podcast “Paleo Cooking and Baking Tips from the Masters” along with Rach’s food-crush Mel Joulwan and AIP baker extraordinaire, Laura Vein. August 20, 2015: Food Republic features the Plantain Croquettes with Pancetta and the Chinese Pork Jerky with Orange & Ginger recipes from Nourish: The Paleo Healing Cookbook. August 5, 2015: Nourish: The Paleo Healing Cookbook is featured on Well+Good, “7 Totally Different Ways To Eat Paleo”. August 3, 2015: Sour Watermelon Gummies are featured on Eat Clean. 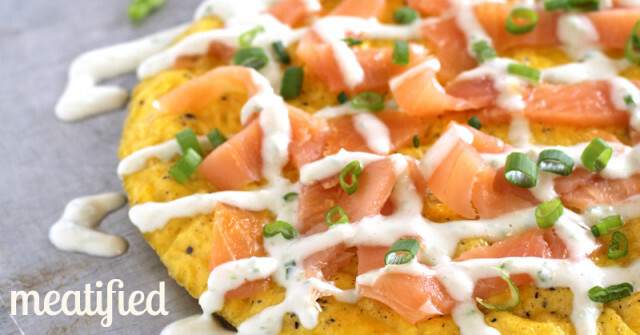 June 20, 2015: Buzzfeed features my Smoked Salmon Frittata with Green Onion Sauce in a round up of Whole30 recipes everyone will love! June 18, 2015: Ahi Tuna Ceviche with Sesame & Mint is featured on Popsugar. April 13, 2015: Recipes from Nourish: The Paleo Healing Cookbook are featured on The Huffington Post as “Gluten-Free And Celiac-Approved Recipes That Are Anything But Boring”. April 7, 2015: Zucchini Noodles with Scallops & Bacon are featured on Buzzfeed. July 16 2014: Watermelon Caprese and Sour Watermelon Gummies are featured in the food section of People. July 4 2014: How To Cook Pork Ribs In The Oven is included in a post on Buzzfeed. June 29 2014: Creamy Honeydew Popsicles with Lime included on Distractify. June 10 2014: Rach’s Pork Belly Carnitas is a Wildcard Contest Winner by Food52 and dubbed “The best damn pork we’ve ever eaten”. May 21 2014: Mojo Chicken Avocado Cups are featured on The Paleo Mom. April 11 2014: Mango Sorbet with Mint is featured on Redbook. March 4 2014: Plantain Ice Cream Truffles are featured in “Transformative Plantain Recipes” on Buzzfeed. January 29 2014: Chili Pepper Poppers are featured in a Super Bowl recipes post on Paleo Spirit. January 26 2014: Smoked Salmon Frittata with Green Onion Sauce is featured on Mark’s Daily Apple’s Recipe Corner. January 24 2014: Whole30 round up posts featured on Nom Nom Paleo. January 15 2014: Beef & Pumpkin Stew is featured on Nom Nom Paleo. January 8 2014: Ahi Tuna Ceviche with Sesame & Mint featured on Chris Kresser. January 7 2014: Thai Chicken Soup is featured on Examiner as one of the 5 Best Winter Soup recipes. December 15 2013: Rach’s recipe for Jalapeño-Lime Chicken Wings with Ranch is published on Stupid Easy Paleo. October 22 2013: Paleo Yogurt Pots is featured on Daily Burn. October 4 2013: Sweet Potato Gratin is featured on Blisstree. September 18 2013: No Bean Pumpkin Hummus is published on The Paleo Mama. August 21 2013: Alfredo with Caramelized Leeks & Bacon is featured on Chris Kresser. August 12 2013: Mini Nectarine & Ginger Popsicles is published on Ditch The Wheat. July 31 2013: Meatified’s Whole30 round up posts are included in the official Whole30 site’s list of meal planning resources. July 28 2013: Mark’s Daily Apple says Rach’s Pork Belly Carnitas is an “an absolutely genius idea”! July 25 2013: Rach’s Pork Belly Carnitas was featured on Chris Kresser. February 20 2013: Grain Free Cous Cous Salad with Baby Kale & Artichoke Hearts is published on Paleo Parents.